The first irons of Daugavpils region appeared in the 18th century. Before that the clothes was mangled with the help of wooden roller or rolled with the cylinder. 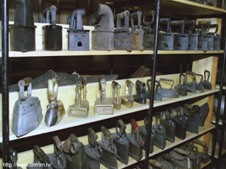 There is a large iron collection in the inventory of the museum. The collection includes stove irons of different size with the massive all-metal corpus. There are small size irons as well that were used for ironing lace and pocket-handkerchiefs. 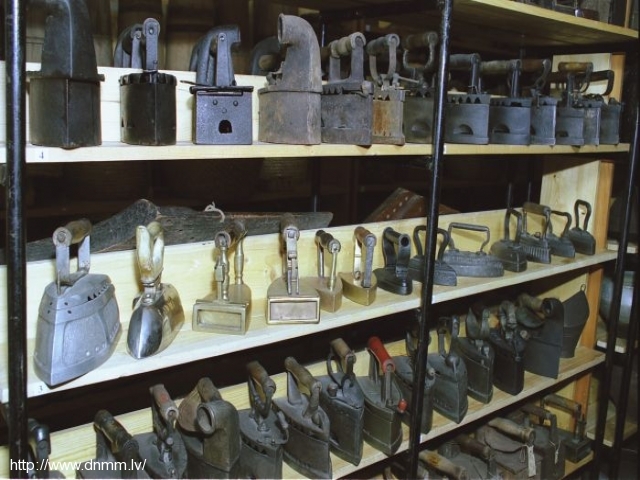 There represented a lot of classical coal irons with the hollow corpus that were used in Latvia till the 20th century. There is one unusual iron in the collection of the museum, it surface is covered with the chromium and it has a spirit-lamp that heats the corpus.